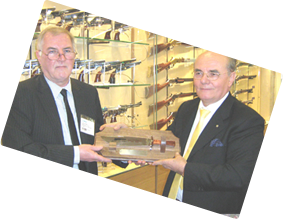 Merseyside Armoury first commenced trading in 1976 , and obtained a Firearms Dealers licence in 1977 . As Practical Shooting ( IPSC ) continued to grow in the UK it was clear that many specialised products and accessories were needed by UK shooters . 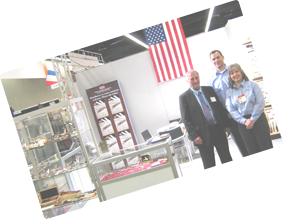 Contacts were established with American companies like Bo-Mar Sights and Vega Magazines who could meet our requirements . Merseyside Armoury continued to expand throughout the 1980’s and 1990’s by buying two very active shooting suppliers , Shooting Accessory Supplies and Sportique Sporting Guns . These expansions helped us to become UK distributers for many more American companies like Wolff Springs , Eagle Grips and Mag Pack . Since the Firearms Acts of 1997 and 1998 removed a large percentage of our trade we have focused on Alfa – Proj Long Barrel Revolvers and Case Knives . But we do have many more projects to bring the shooting community top quality products . So as they say ……… watch this space . Back in the good old day most large towns and cities had at least one gun shop , maybe even in the city centre or the high street . But sadly those days have gone , high rents , lack of parking , shortage of customers and even anti gun sentiments have driven many gun shops out of business or forced them to re-locate to out of town locations . We want to continue to support local gun shops , so we ask that if possible you order our products from your local gun shop . If however your local gun shop does not stock our products , does not wish to order them for whatever reason , or you live to far away from a gun shop we are happy to supply you direct , except in the case of Firearms . If you wish to see our products visit us at either the Northern Shooting Show, Harrogate or the Phoenix Meeting at Bisley .